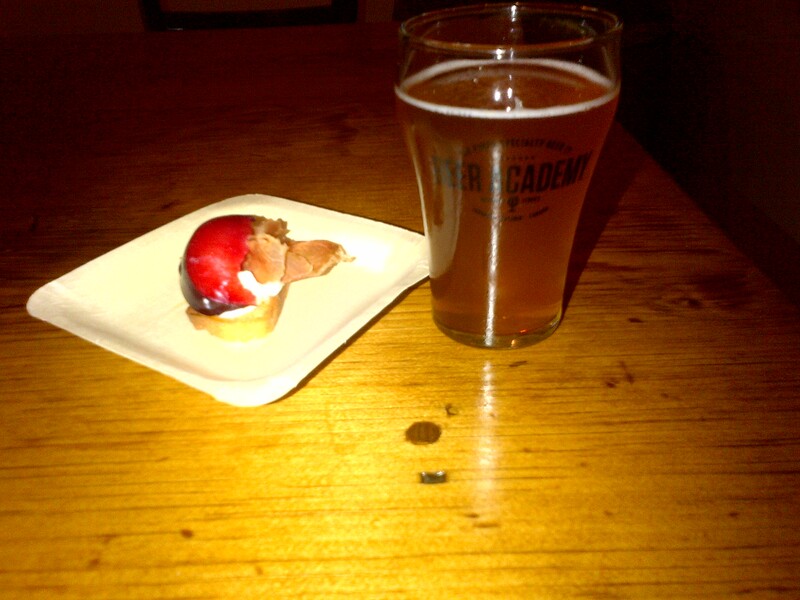 This past Wednesday I was lucky enough attend the grand opening and first tasting event at the Beer Academy at 75 Victoria Street in downtown Toronto. As I’ve described before, the Beer Academy is the creation of Molson Coors owned Six Pints Specialty Brewing Co. And, when you walk into the retail shop, there is no doubt that the promotion of Six Pints’ products is at the forefront – a fridge full of Creemore brews and taps serving of draught of the Creemore Lager, Kellerbier, and Pilsner AND Granville Island Pale Ale plus Robson St. Hefeweizen. 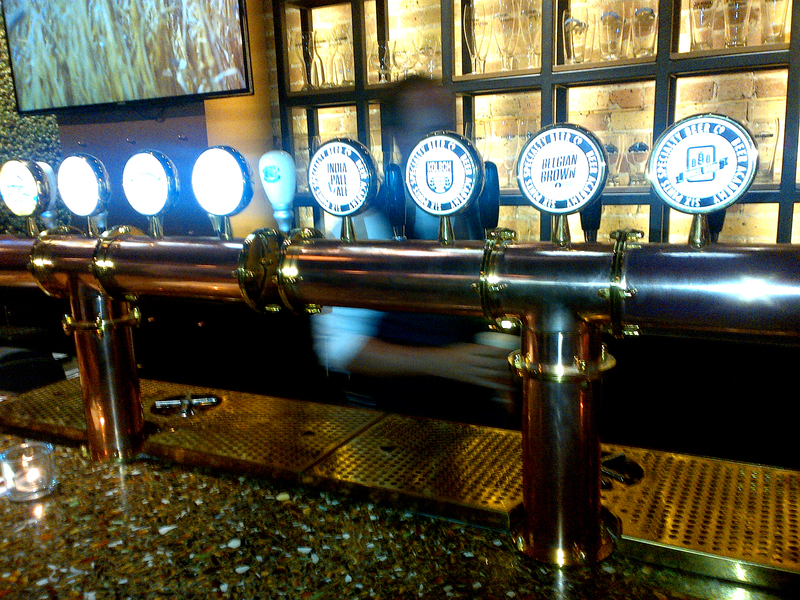 To be honest, this alone almost makes the place worth visiting – not many spots your can get all of these on draft. 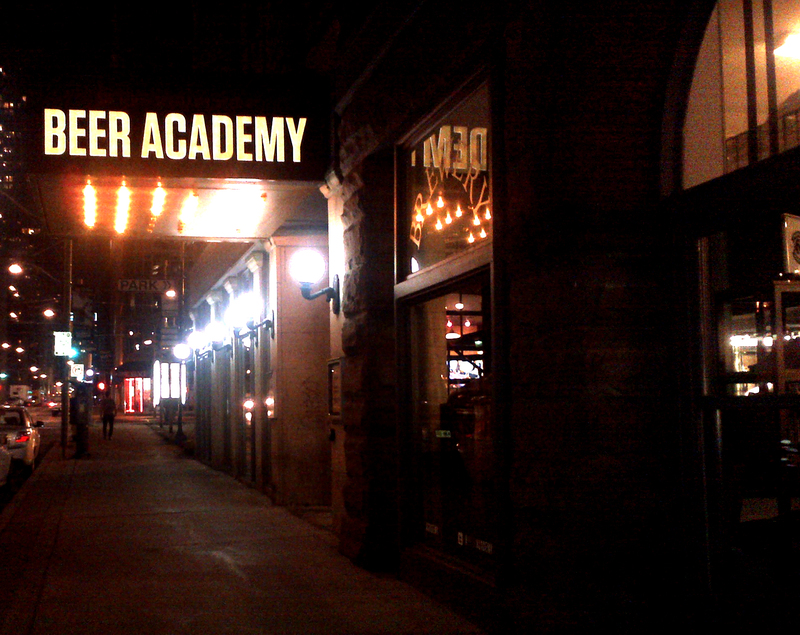 However, the Beer Academy is much more than this. 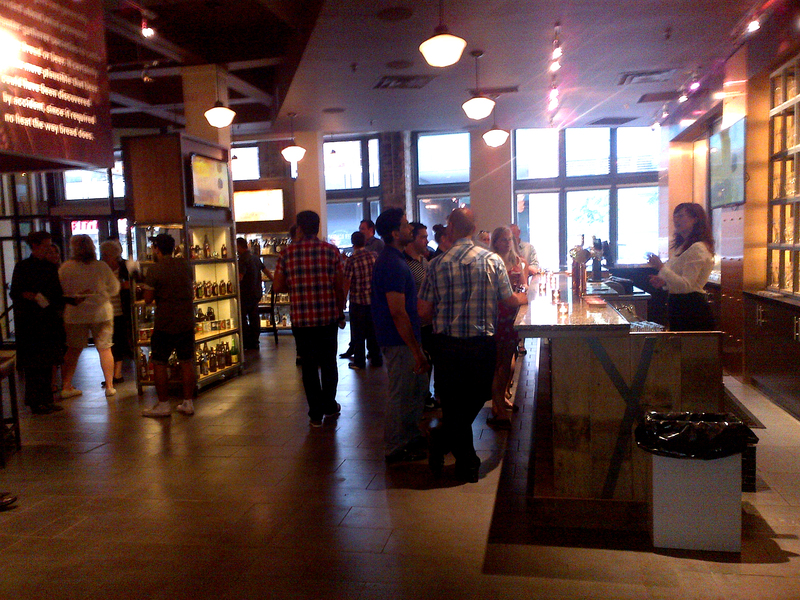 Through the retail store you enter the event space, with Canadian Craft Beer / Beer history covering many of the walls – including acknowledgement of many groundbreaking breweries that have no affiliation with Six Pints. 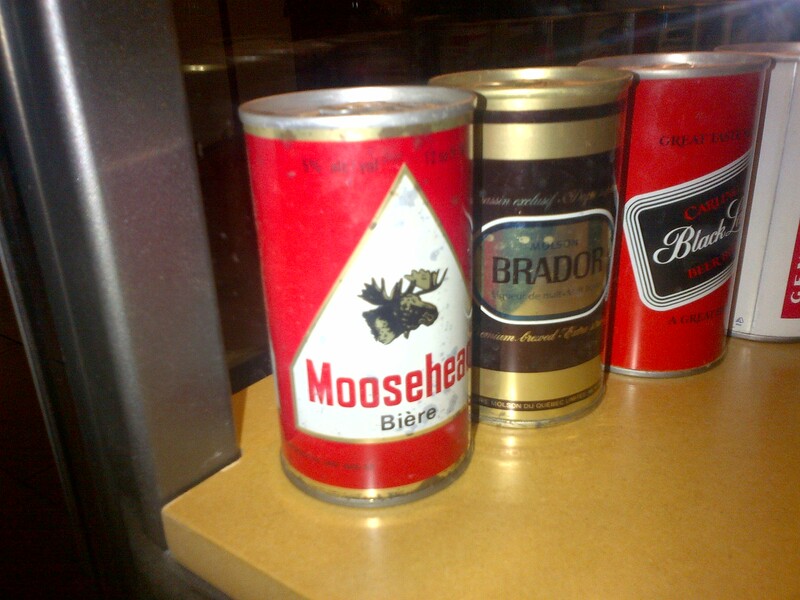 There’s also a great glass case with classic beer cans, a view into the physical on site brewery and numerous bars. 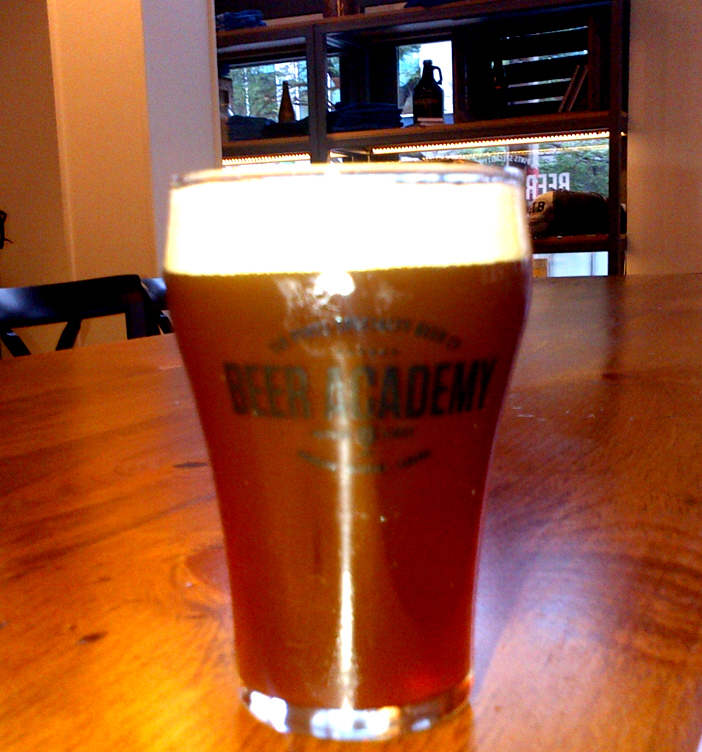 This is mixed in with a generally well designed contemporary event space – All in all, this is the perfect place to hold an event that centers on beer. 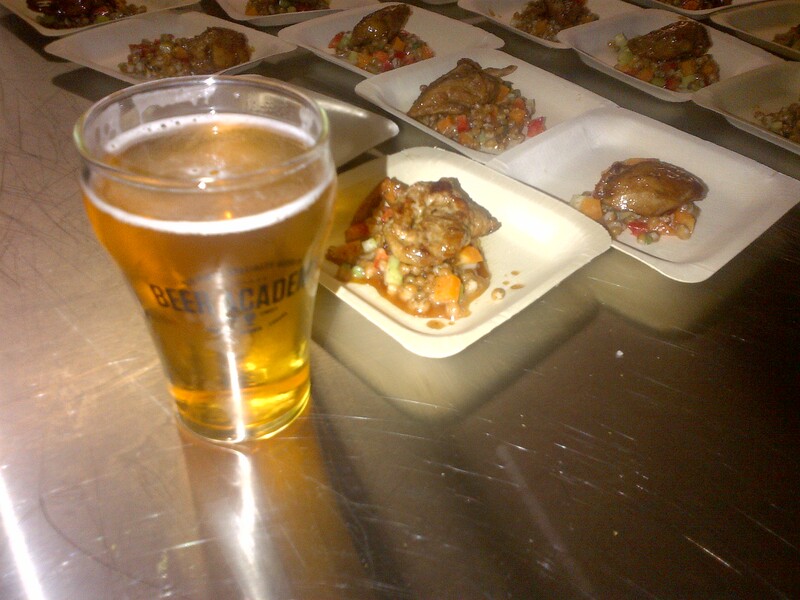 Downstairs we found more space, including an open kitchen with beer food pairing being served up. First, with the Hefeweizen, second with the Pilsner…third, well I didn’t make it to the third. But what I did have was great. And I’ve left the most important and noteworthy point to the end – Most of the bars also serve up five terrific beers that are brewed and available only on site – All under the control of brewer Todd Fowler, an energetic guy that I would suggest should be a motivational speaker if he wasn’t so good at making beer. 6.5% ABV. Hoppy, nicely sweet, my favourite of the 5. 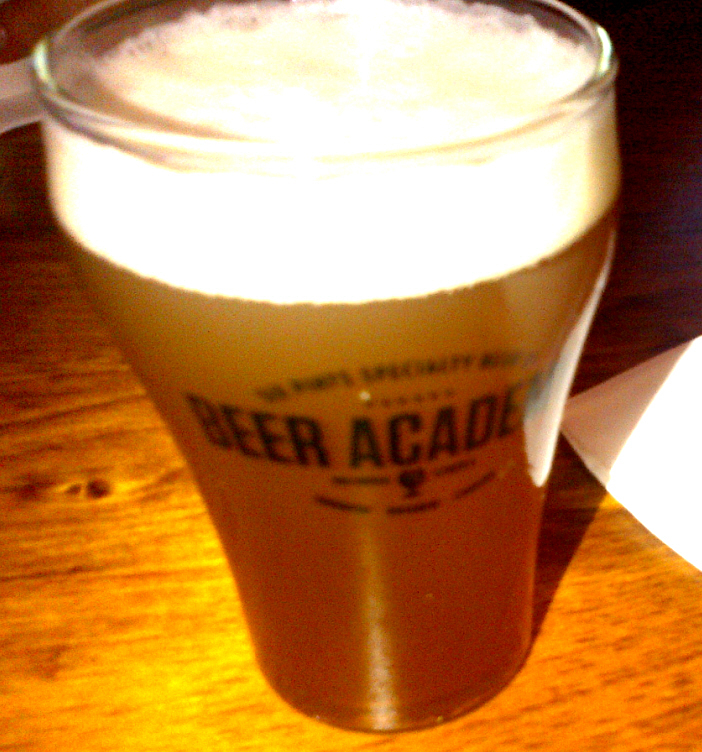 A Kolsch style blonde ale. Nice fruity and hoppy blonde beer. A nice Weisse. Not much more for me to say, but I was happy with it. It is what it sounds like. 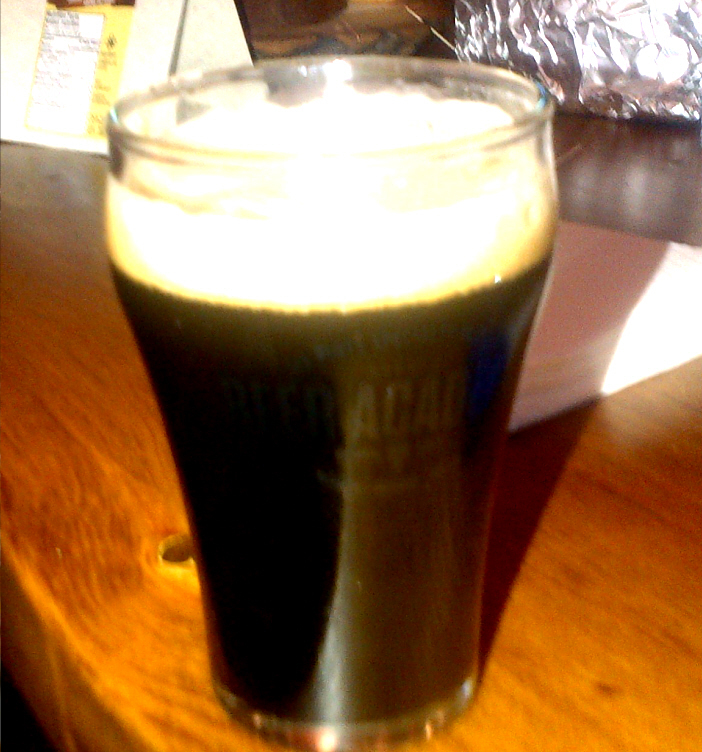 Tastes like a fruity/spicy Belgian Ale, but if it were a brown. Interesting and good. While I’m slightly disappointed that there is no longer a restaurant in this site, I think that the beer offering more than make up for it. 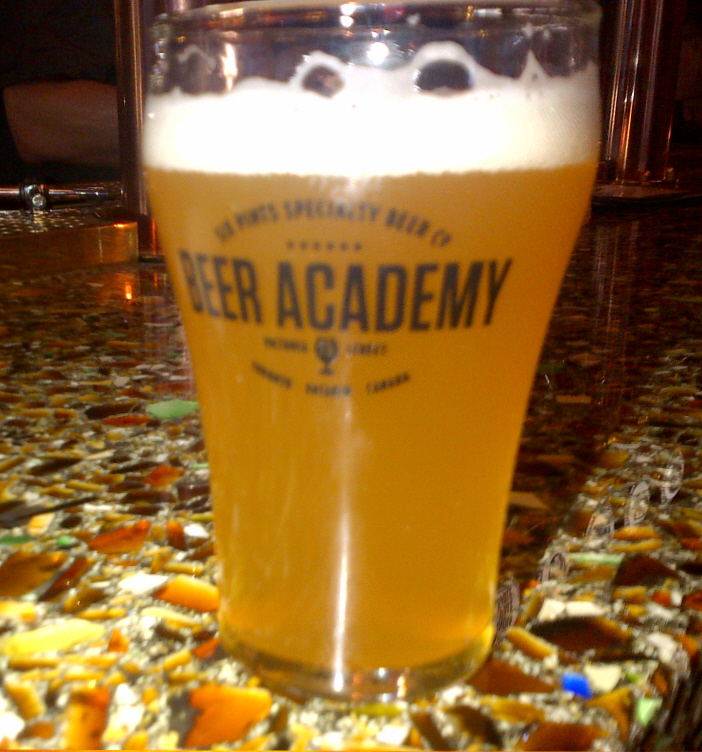 Regardless, if you like beer, you’ve got to get out and try each of the Beer Academy beers. Its definitely an experience, and a good one. 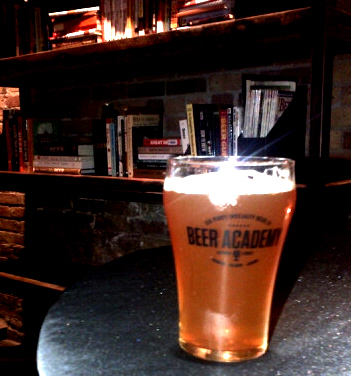 Beer Academy is now open and serving. Growlers are also available.